John Westhaver was just six weeks away from graduating high school when a tragic event in 1994 would completely change his life. As the result of some poor choices, John and three of his friends got into a car accident, leaving him as the sole survivor and with life-threatening burns to 75% of his body. This is when John began his long, intensive journey of physical rehabilitation. Although John underwent over 35 surgeries to treat his burns and scars, his physical appearance was changed forever. Despite this, John realized he needed to accept his new appearance, knowing that it didn’t change who he was on the inside. Forgiveness was the key to John’s recovery – and soon after he forgave everyone involved in the accident, he began to find peace. John moved to Victoria, BC and joined a burn survivor support group, which brought out his talent for inspiring others through storytelling. John was committed to giving back and wanted to make the difference with young drivers. He has gone on to deliver almost 600 presentations to High Schools, Military personal, Firefighters, Hospital staff and businesses. He does this in hopes of empowering young people to stand up for themselves and to make responsible life choices – especially in situations that involve driving. 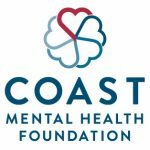 John spends most of his time traveling across Canada sharing his story and message of Road Safety with High Schools, he is an accomplished Motivational Speaker and loves working with organizations like ICBC (Insurance Corporation of British Columbia), the FireFighters Burn Fund Victoria, BC, and the Department of National Defence Canada. 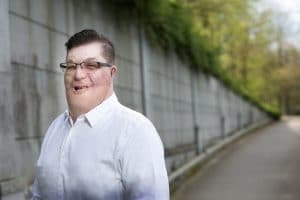 This led to his current role in helping Burn Survivors and family members as well as co-chairing the Peer Support Group for Burn Survivors across Vancouver Island. John is the co-chair of the Canadian Burn Survivor Community Committee and was awarded the Queen Elizabeth II Diamond Jubilee Medal in recognition of his community service and courage. Despite enduring years of pain, numerous surgeries and rehabilitation, John has showed resilience, courage, and compassion and has gone on to touch the lives of so many people. His positive energy is, without a doubt, contagious to all of those fortunate to know him. With his wife and daughter by his side, John has demonstrated that despite great odds and adversity, one person can truly make a difference.